Welcome to the Chamber!! 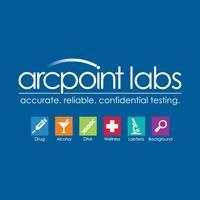 We are very excited to introduce ARCpoint Labs of Raleigh-Garner! One of the nation’s leaders in Federally Mandated Drug and Alcohol Testing, DNA & clinical lab testing, corporate wellness programs and employment / background screening and a preferred Quest / Labcorp collections site. Conveniently located in the heart of Garner for all your employee drug testing, DOT compliance, onsite random and post accident needs. Please visit our website or come to our brand new location for a tour.